In February 2016, Aéroports de Paris saw 6.6 million passengers; an increase of 3.6% compared to February 2015. 4.5 million passengers travelled through Paris-Charles de Gaulle (+2.7%) and 2.1 million through Paris-Orly (+5.4%). 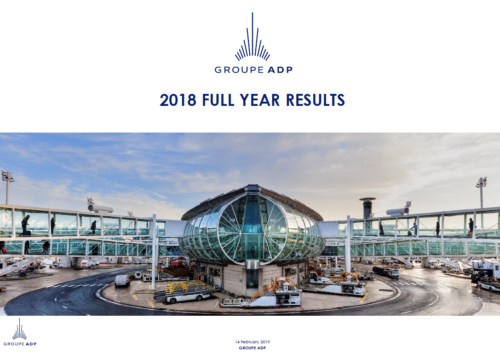 Excluding 29 February traffic, as 2016 is a leap year, passenger traffic for the Parisian airports would have been down by 0.3% compared to February 2015. The number of connecting passengers increased by 8.0%. The connecting rate stood at 25.2%, up by 1.0 points compared to February 2015. 13.4 million passengers during the first two months. The number of connecting passengers has risen by 5.9%. The connecting rate stands at 26,9%, up by 1.0 point. Passenger traffic at TAV Airports, 38%-owned by Aéroports de Paris, increased by 9.6% in February 2016 and has risen by 6.0% since the beginning of the year. Passenger traffic at Santiago, 45%-owned by Aéroports de Paris, has risen by 10.0% in February 2016 and by 10.1% since the beginning of the year. (1) TAV Airports started to operate the international terminal of Milas Bodrum Airport in October 2015. To be compliant with TAV Airports' presentations, the % change presented above does not take into account Milas Bodrum international terminal for 2015. Taking into account international terminal Milas Bodrum traffic on a like-for-like basis for 2015, total TAV Airports passenger traffic would have risen by 6.5% over the last 12 months..
(1) To be compliant with TAV Airports' presentations, the % change presented above does not take into account Milas Bodrum international terminal aircraft movements for 2015. Taking into account Milas Bodrum international terminal aircraft movements on a like-for-like basis for 2015, total TAV Airports aircraft movements would have risen by 5.6% over the last 12 months.